As the Roman Empire starts to collapse from within, one man seems to understand what is happening. He is Pelagius, a charismatic philosopher from the province of Britain, now living in the imperial capital. 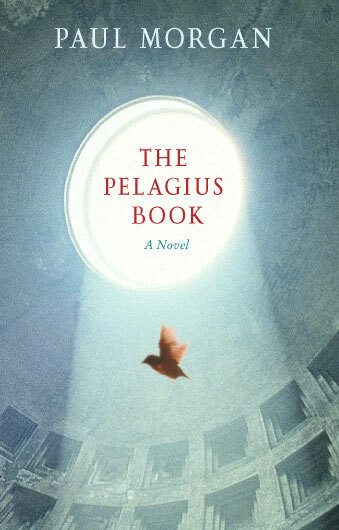 Paul Morgan’s dazzling novel draws on the dramatic true story of Pelagius, as told by his former secretary, Celestius, now an old man living in exile. As Celestius recounts their adventures together, and the vivid sights and sounds of a civilisation under siege, he uncovers at last the secret of Pelagius’ ‘book’, concealed in the most mysterious language of all. With vivid characterisation, brilliant description and understated wit, The Pelagius Book is a novel of friendship and betrayal, of power and intrigue – of ideas, and hope. Penguin Viking (Australia). ISBN 0-670-02907-6. RRP A$24.95. Paul, have you considered making this available as an ebook? I would buy it, as I’m sure many others would. It might not make you rich, but it could be a regular trickle. And if it was noticed in the “right circles”, perhaps a movie made, or interest fermented somewhere then it could well make you wealthy. All of which is extremely unlikely while it is unobtainable. The paper version is not available on Amazon and it is out of stock at Penguin (Viking) Australia. This is what happens to a book that relies upon dead trees for its propagation. I am having an impossible time finding a copy of your book. I have searched all the online book-sellers I am aware of and no copies are available. The Pelagius Book is currently OP but hoping for a reprint or ebook later in 2014. Best source for current edition is abebooks.com where it turns up periodically. Good hunting! We bought your book and we loved it. We still do, but some SOB pinched it. Where can we get it PLEASE? PLEASE!!! We tried to find it but no luck. Why has it not been reprinted? Vatican preventing? Some other conspiracy? The book is LOVELY. Please assist. Is the audio available? Anything? Thanks Andrew. Hoping for a reprint next year, In the meantime, I can probably get you an audio version. Send contact details to my email address.